Fancy giving me a vote? Why not eh? I consider myself quite a humble guy. I don't like to come across as arrogant or cocky, even if I consider myself good at something. The reason I try to keep this centre of balance is because, no matter how much you think you are good at something, there's always somebody out there better than you. You may never meet them or know this, but it's inevitable. So to try and maintain a balanced view on my abilities of say "Blogging" I have always tried to stay away from "Blogging Awards" or pushing it to a place where it gets considered as something competing with other blogs. I have always felt that competing with other people who do this sort of thing as a "hobby" is like competing with a charity on who can raise the most money. It kind of defeats the purpose. UNTIL now! hah! Well I say that, but I say it with my tongue firmly in my cheek. 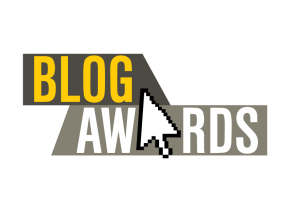 The UK Blog Awards 2015 has put out it's candidates for Blogs to get votes in various categories. Someone who reads my blog or listens to my podcasts decided to nominate this blog for "Most Innovative" and "Best Lifestyle". Now, I have no idea who did this, so if it was Thank you, If I had known about this awards ceremony I probably would have nominated myself anyway. I have done this a few times and when it came to actually getting people to vote I kind of left it alone and let it go by without any fuss. This culminated with no win or recognition. So this year I thought "why not" so I actually put it out there for people to vote. It is easy and simple and I didn't think there was any harm in actually asking people. 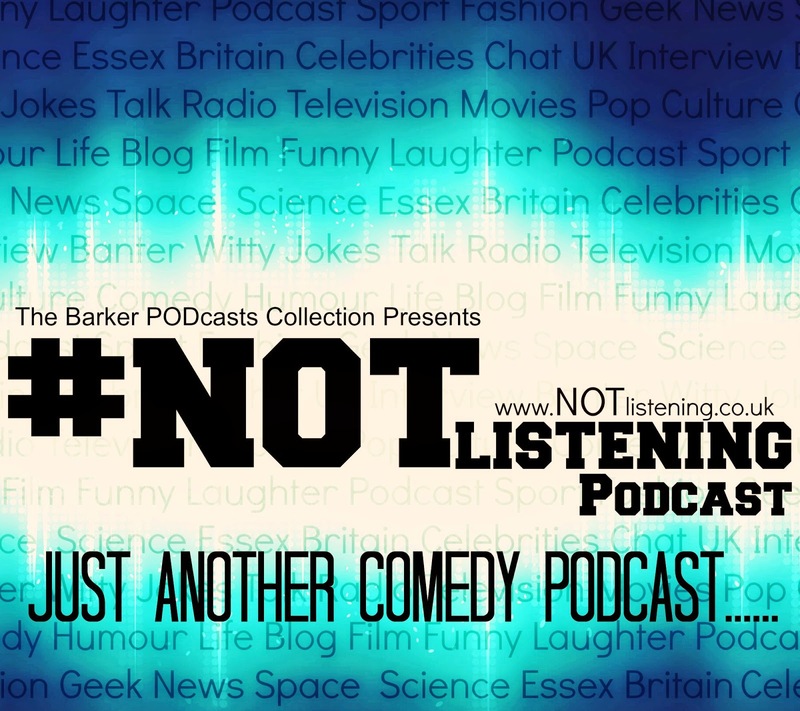 Now I guess what this whole post is about, apart from giving you all a link to go to and vote from (wink wink) but also for me to actually tell you how proud and happy I am of what I have created here at #NOTlistening. This may sound like I am becoming a bit full of myself, but hear me out. I started this whole blog/podcast/website simply because I love creating creative content. 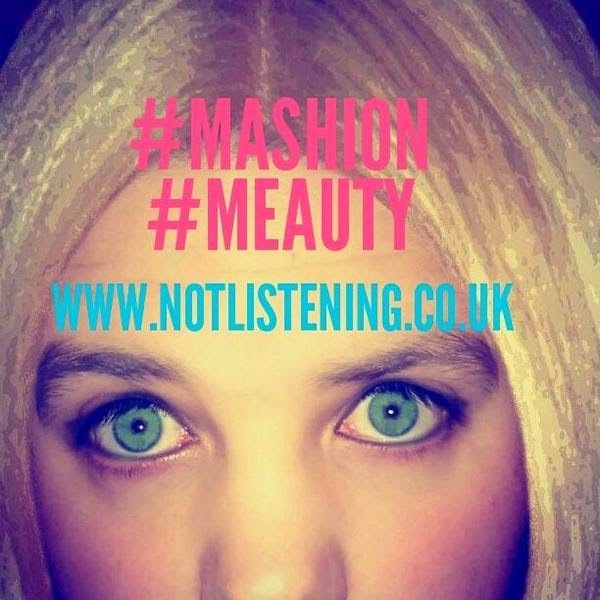 Whether that be audio podcasts, short films, blog posts on films and tv or even my #Mashion and #Meauty series. All these things are an extension of my creative mindset and it covers a shed load of bases. The main aim for the website is to entertain and invite the reader/listener into a world that I feel like I have created. There are plenty of things for everyone n my opinion. I felt like actually putting the option for people to vote for the site, enabled me to show you all how proud I am of what I have created. I have met some great people over the past few years and made some great lifelong friends too. So, if you want, go to the link and give me a vote. You don't have to, If I don't get shortlisted or win then it won't be the end of the world. I just wanted to share my love of my blog with you all.